Dr. James J. Mazur DPM is a Podiatrist facility at 710 Brookdale Drive in Statesville, NC. 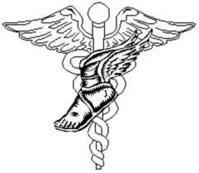 Services Dr. James J. Mazur DPM provides podiatry in Statesville, NC at 710 Brookdale Drive, Statesville, NC 28677. Podiatrists are able to treat conditions and disorders of the foot, ankle and lower leg. A Podiatrist may treat bunions, calluses, ingrown toenails, heel spurs or foot deformities.